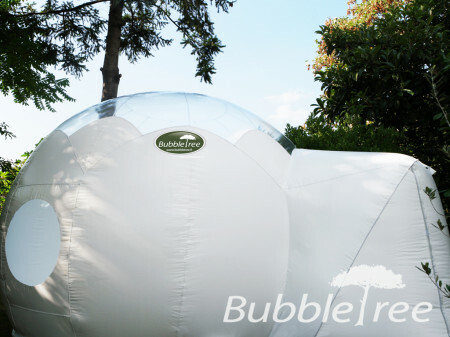 Springlike FlowerBubble creates a cocoon amidst the nature open to the starry sky. BubbleTree’s new concept designed to offer romantic unusual accommodation, FlowerBubble possesses a room with a lateral window that can be blinded at any moment thanks to a zip curtain, as well as an integrated access tunnel. 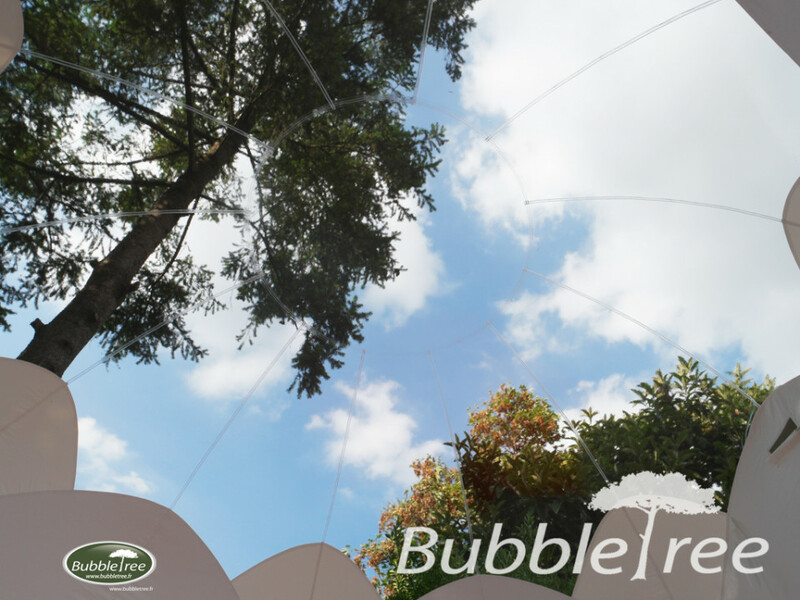 The special material of FlowerBubble allows to increase thermal comfort and protects from any vis-à-vis, as the white tissue blocks both sun beams and the lightning from the lamps inside the Bubble. 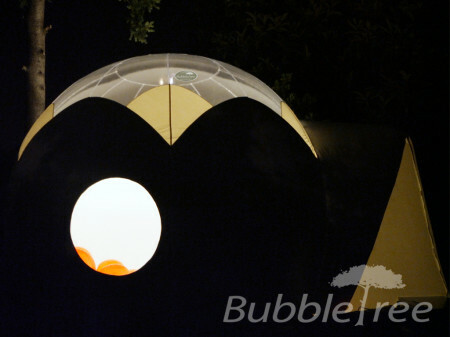 The guests spend a night under the stars in total intimacy whatever the location. 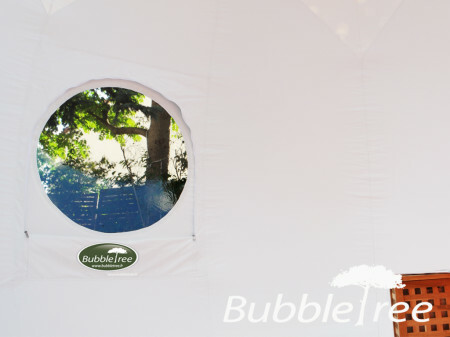 Sites in search of unusual accommodation for couples and stargazers will opt for FlowerBubble by BubbleTree. 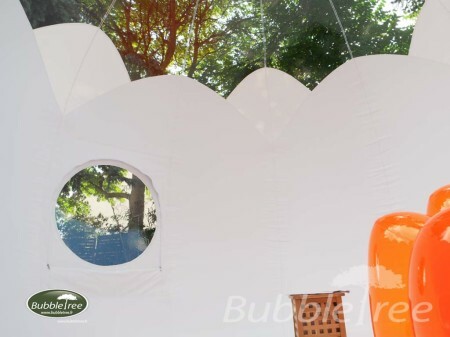 FlowerBubble exists in modular version as part of the BubbleSuite and Bubble GrandSuite configurations. FlowerBubble exists in 4m and 4,35m and can make part of BubbleSuite and Bubble GrandSuite configurations. 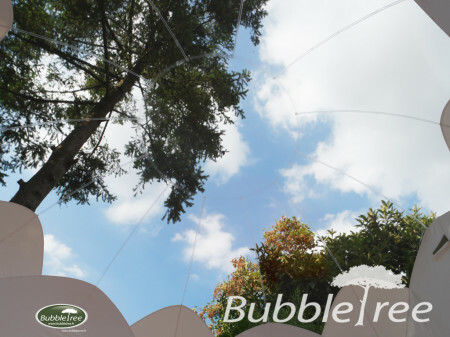 Attention: be careful of copies of our products and websites using our photos. Prosecutions and penalties were already caused by serious security problems with the copies non-adapted to accommodating people. Custom seizure operations were launched.